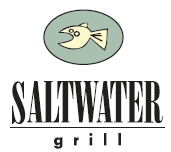 Serious Fun at Saltwater Grill on September 21st! Serious Fun is returning to Saltwater Grill ! Wednesday, September 21 from 6:30 - 9 pm, join us for food, fellowship and a seriously fun silent auction benefiting the Serious Fun Children's programming at The Grand 1894 Opera House. Silent auction features hnad-painted plant stands, child's table and chair sets, and hand-painted dessert plates! For more information and tickets, call 800.821.1894 or email tickets@thegrand.com.